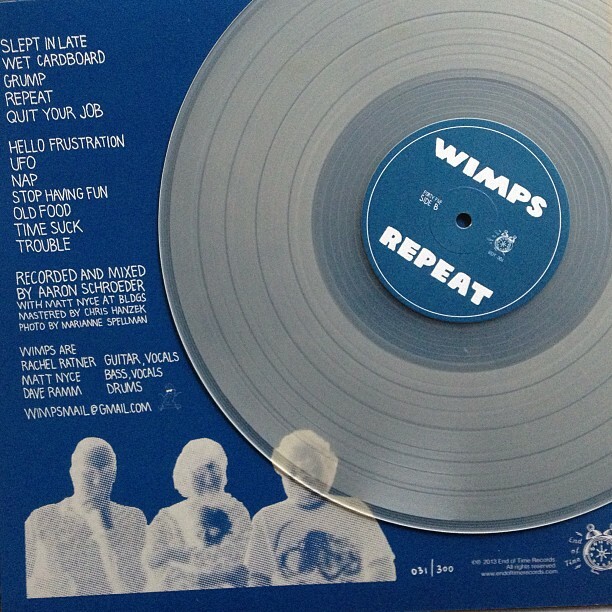 The milky clear edition of Wimps‘ Repeat LP is now totally sold out. Thanks, everyone! Your exceedingly fine taste is humbling. The black vinyl edition is still snaggable via our shop and at shows. Tags: endoftime, endoftimerecords, eot-001, rejoice, Repeat, Seattle, sold out, Vinyl, Wimps. Bookmark the permalink.